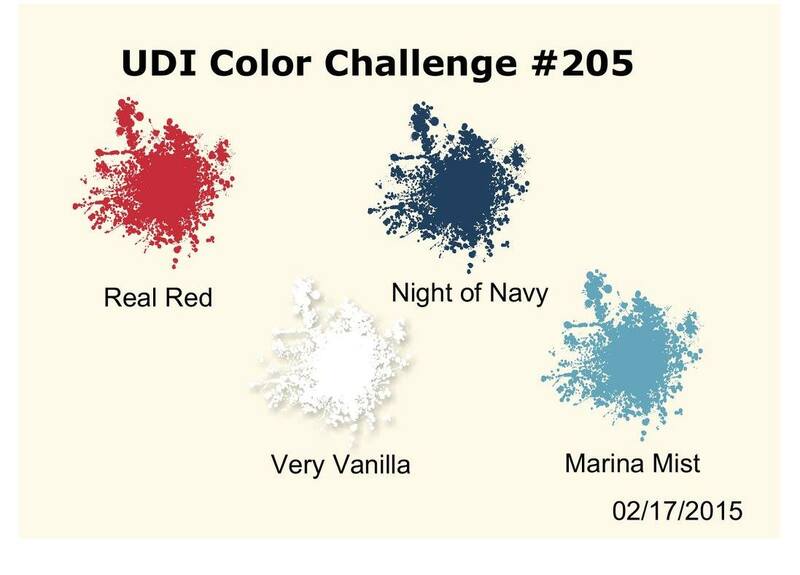 When I first saw this week’s color combination, I immediately thought of the 4th of July or Veteran’s Day. So I made a birthday card kind of masculine but it need a pop of color and that is why I added the Real Red flowers and rhinestones! Very simple and fast card to make but stunning all the same! Here is a close up of the stamped image/tag.